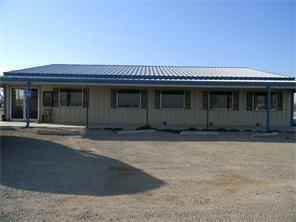 Great location for a restaurant, but so many other possibilities for this high-visibility commercial site fronting Hwy 59 N; Building completely renovated includes commercial kitchen, office, restrooms, and large open space. Seating 90-120. Other features include 3 air-cond. units, professionally engineered high-capacity commercial septic system. Utilities: Atmos Natural gas, Wise Electric, City water. Offered by Elaine Elsie Karchaske of Gallery Realtors.